Have you met our pack leaders? 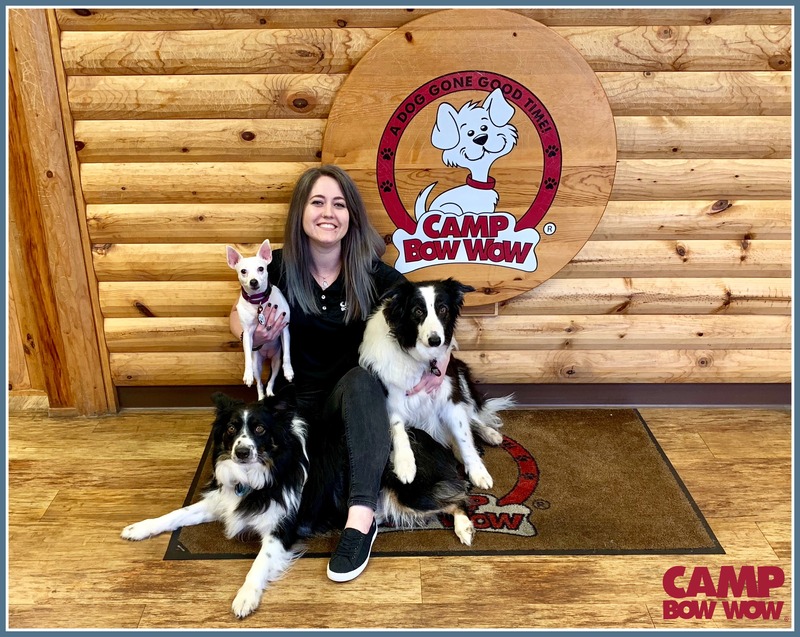 Husband and wife team, Tony and Jamie Caruso are the proud owners of four Camp Bow Wow Franchises, two in Saint Clair Shores, Michigan and two in Springfield, Missouri. 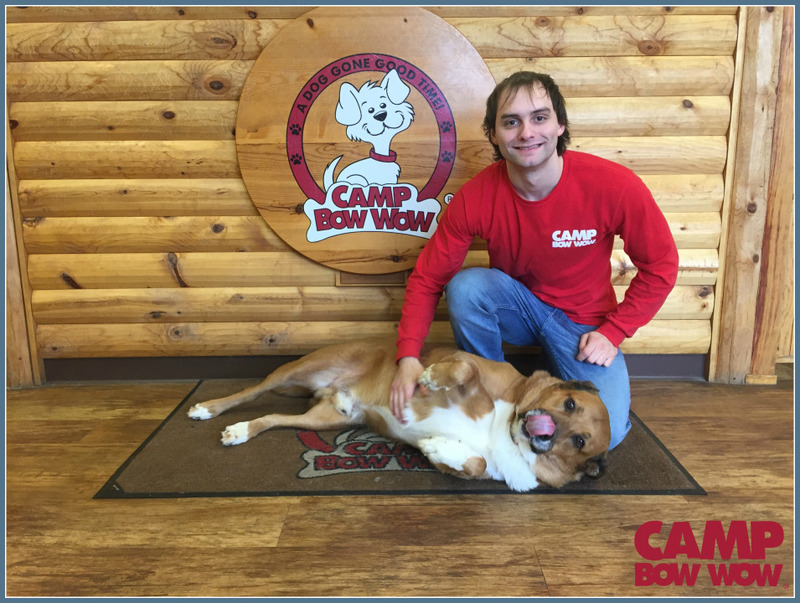 The Caruso family Camp Bow Wow story all started in April of 2007. Tony’s Hungarian Vizsla, Abby, ignited Tony’s passion for dogs and drove his entrepreneurial spirit to invest in a Camp Bow Wow. As Tony worked to grow the Camp business, his personal pack also grew…by four. As dog lovers, the Caruso family love what they do. They were excited to grow their pack even more when the opportunity arose to take on a second location in Springfield, Missouri in March of 2015 . With a great team of Camp Counselors at both locations, they were able to make this expansion and bring their passion for dogs to Springfield! 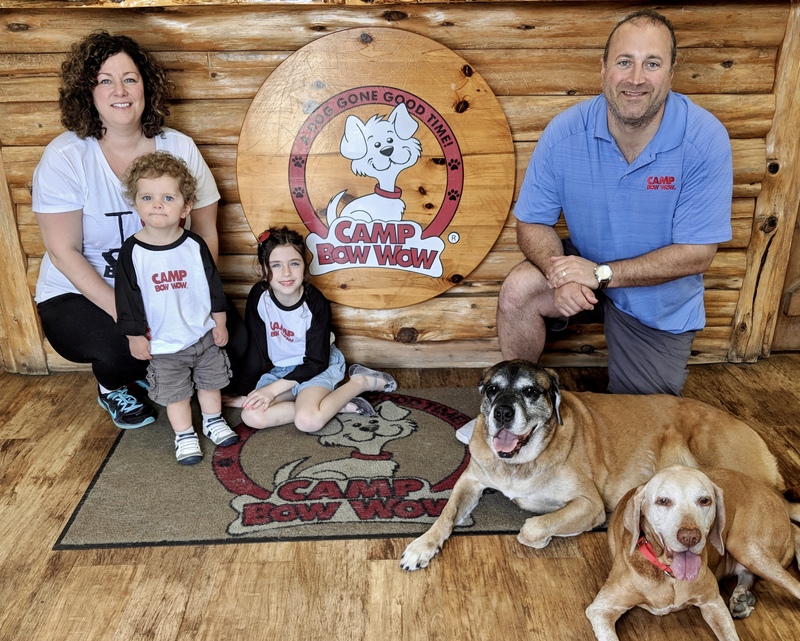 In January 2016, the Carusos decided to try something new when taking on their third location - Camp Bow Wow Lil' Campers of St. Clair Shores, Michigan, one of only two concept locations especially designed to care for our littlest Campers. 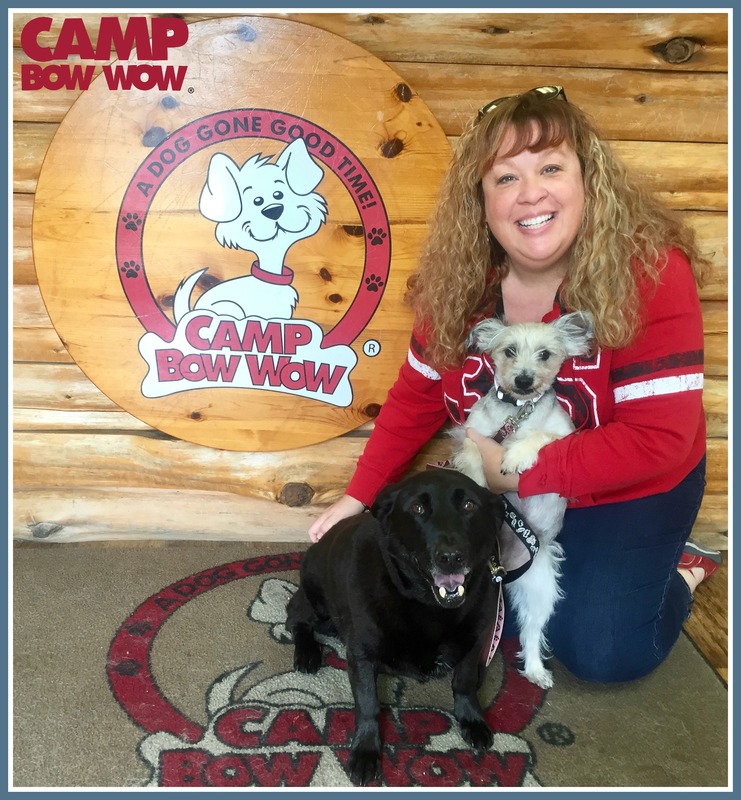 They feel right at home in the Camp Bow Wow Franchise as they are both pet owners themselves. Being able to fetch peace of mind for pet parents is something they understand from both sides of the fence. 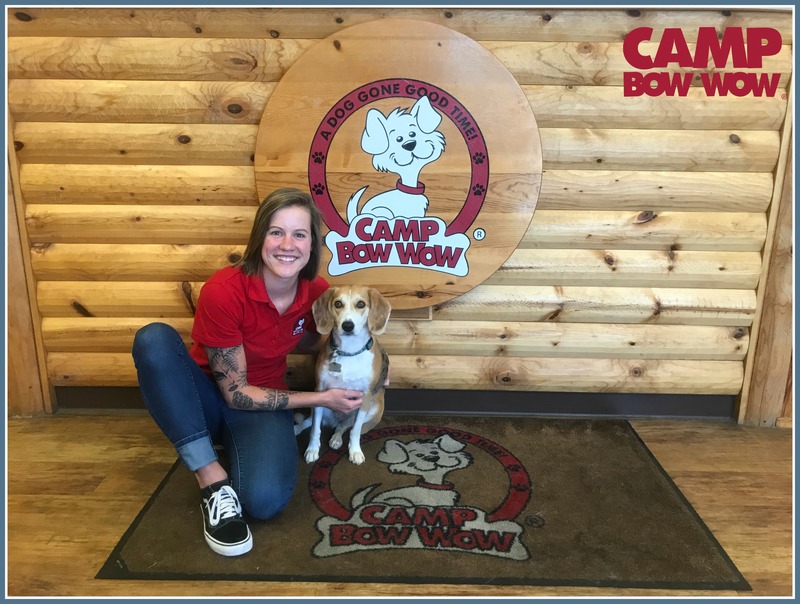 The opportunity that Camp Bow Wow brings to foster and further the relationship between man and his best friend, is an opportunity that’s just too good to pass up. The family cares and loves being involved in their camp local communities. Tony and Jamie’s passion for animals allows them to help with charity fundraising and participation with multiple rescue groups in Saint Clair Shores and Springfield. They host bite prevention readings with the “Scout Says, Dogs Get Nervous Too” book at Ella’s school and other local elementary schools and libraries. Tony also uses his dog training knowledge and experience to train volunteers at our local rescues and work with the dogs on a one-on-one basis. You may even catch Tony dressed up in the Scout mascot suit at our events. When Tony and Jamie aren’t busy scratching butts in the play yards at Camp you can usually find them in Downtown Detroit at a Lions or Tiger’s game, in Kansas City watching a Royals baseball game, or hitting the links for a game of golf (Jamie supervises the cart). Background: Valerie rescued her first dog, Lupine, in July of 2016 and her life was fur-ever changed. She became a self-proclaimed dog-obsessed mom that wanted to learn everything she could about Lupine's health, species appropriate diet, and behavior. 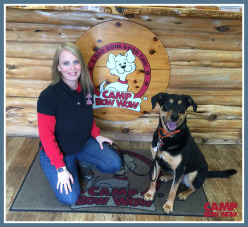 This led her to become a Camp Bow Wow Springfield client! 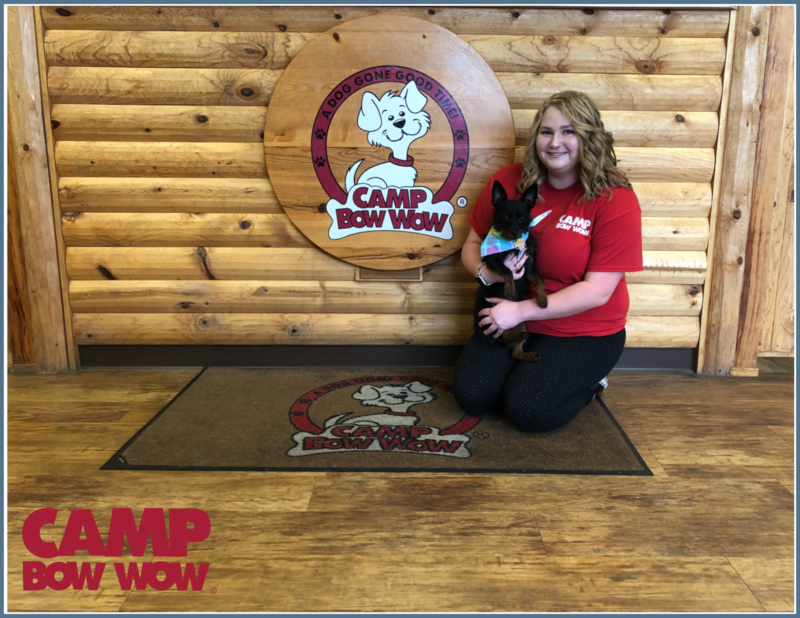 Valerie learned just how much the Camp Counselors cared for her dog, and our customer service combined with our Camper Cams sold her to become a Camp Bow Wow lifer. After being a client for over a year, Valerie decided she wanted to make a life change and start working in the animal field! What I love most about my job: Her favorite part about her job is connecting with our furry Campers. Valerie enjoys watching them play in the play yards, and taking pictures of them for our social media pages and blogs! She also always finds time to visit our Campers in their spacious cabins so she can have one-on-one time and give them extra snuggles and love! My pets: Lupine is Valerie's two-year-old Beagle mix. She is a very chill girl who loves to nap, but when she visits with her fur-iends she really enjoys running, romping, chasing, and Beagle howling with them! Lollie is Valerie's most recent addition to their family. Lollie is an eight-month-old Jack Russell Terrier mix that stole Val's heart instantly and led to a very quick foster fail. Lupine and Lollie love going on outdoor adventures with their parents. You can follow along on their journey on Instagram, @lupineandlollie! My hobbies: In Val's free time, she enjoys spending time outdoors with Lupine, Lollie, and her boyfriend, Boone. When she's not updating her dog's Instagram, you can find her in Arkansas rock climbing, trail running, or camping. She also loves kayak fishing with her dad and hummingbird sight seeing with her mom! Ian is a certified Camp Counselor at our East location and we are so thankful to have him! He joined our Pack in February of 2019 and has caught on fast. Ian is a hard worker who is very patient and loving with our Campers. Ian’s favorite part of the job is spending time with the dogs in our Play Yards. He makes sure to give each dog individualized attention and love while in the Play Yards. At home, Ian has several dogs. Roxie is a Black Miniature Pinscher around seven-years-old and is very low energy. Marly is a Shih Tzu mix who is five-years-old and very shy. Letta is a Terrier mix who is around four-years-old. Ian says, “she’s mean and psychotic but we love her!” Aurora is a Heeler mix who is four-years-old. Aurora loves everyone and makes friends fast. In Ian’s free time, he teaches Two Step Line Dancing! He also is studying for his Masters in Public Health. Ian has volunteered for HFLCS, a cat and canine rescue, for several years – he helps out with weekend adoption events! They typically host adoption events at Petsmart on Glenstone. If you see Ian at East, be sure to say hello! Lauryn is a pawsitively pawesome gal and we are excited for you to get to know her! 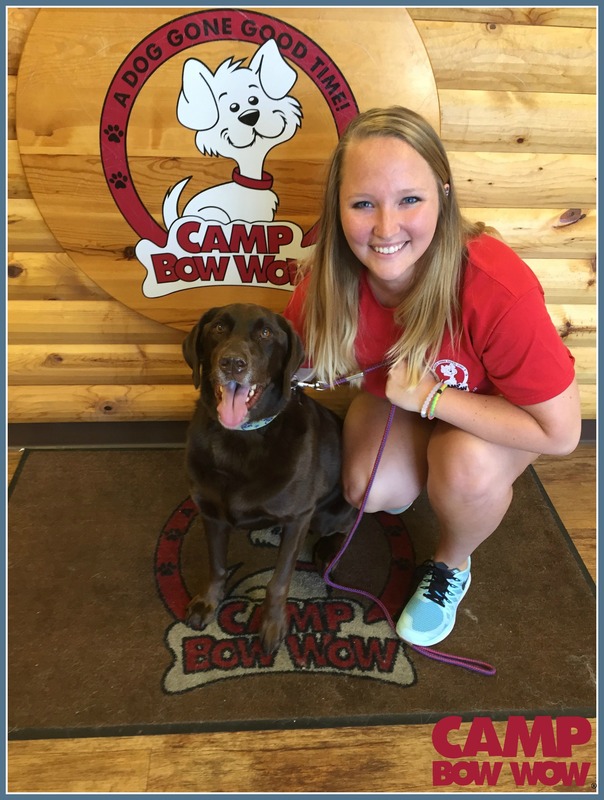 Lauryn started working at Camp Bow Wow in August of 2018 and she has excelled as a Camp Counselor since day one! 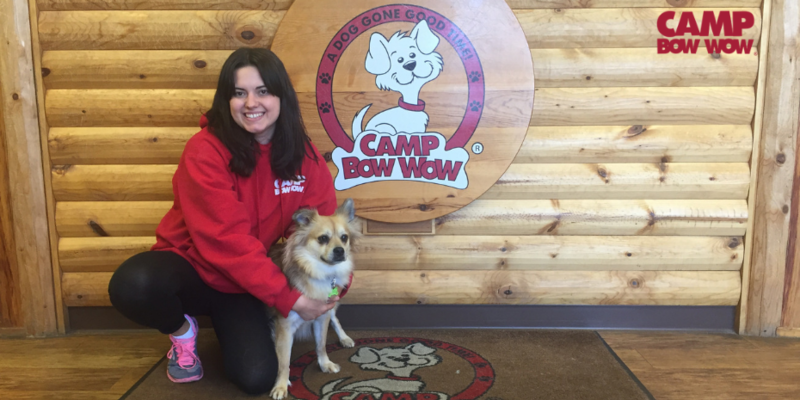 She wanted to work at Camp because dogs put a smile on her face so she thought this would be a perfect place for her. Lauryn’s favorite part of Camp is seeing how happy the Campers are! She loves to watch them play and of course getting all the hugs and love from them as well! Lauryn has one pup of her own. She adopted Piper, pictured, in August of 2018. She is about a year old. She’s a mix of Rat Terrier, Feist, and Dachshund. Piper is an energetic and cuddly little pup and LOVES to see all of her furiends at Camp! Lauryn is currently a student at Missouri State University and spends a lot of her time studying and going to classes. When she’s not in class she spends a lot of time with her roommate and playing with Piper! Hobbies: Heather enjoys spending time playing with her dog, Gimli, and traveling with her husband, Rus. She loves anything to do with the water and if she can find a weekend to go camping and read a book, then she has found a little slice of heaven. She enjoys spending time with her friends and family and likes to keep active. Most of all, she loves to dance and does so whenever possible... mostly at home, while cleaning and singing into her hairbrush! Background: Carsen's chocolate Lab, Ebbie, was a regular Camper, which is what introduced her to Camp. Being a dog lover, Carsen could not think of a more perfect place to work. You can always find Carsen working the Front Yard, or working on some marketing in the office! What I love most about my job: Carsen loves being able to get to know the dogs and their families as well! Sharing stories with owners about each individual dog makes her job even more fun! Carsen enjoys socializing with the Campers AND their humans. My pets: Ebbie is a seven-year-old chocolate Lab who started coming to Camp at four-months-old. Ebbie enjoys taking naps, relaxing in her spa (pool), and going on walks! Carsen added a second four-legged family member in April of 2017! Her name is Storm, and she is a four-year-old black Labrador Retriever. Storm loves to play fetch with her tennis ball and cuddle up after a long day for some belly rubs! My hobbies: Carsen graduated from Missouri State University in May of 2016. In her free time, Carsen enjoys spending time with her family and friends, hanging out with Ebbie and Storm, and going to concerts! Additional Skills/Qualifications: Beverly works hard behind the scenes for Camp but she also has personal experience in training. She trained one of her dogs in level one, level two, agility, freestyle, and fly ball in 2000. Beverly loves working with dogs and truly sees the value in socialization and training. Beverly isn’t the average marketing consultant – she’s the paw-fect person for us, right?! My pets: Chelsey shares her life with two pups! Her first fur-child is a Jack Russell Terrier Chihuahua mix named Ellie Bug. Ellie is a seven-year old rescue from the Humane Society of Southwest Missouri. She describes Ellie as a "big personality in a little package," which is how we'd describe Chelsey! Finn Diesel, a Border Collie/Australian Shepherd mix, joined Chelsey's family in February of 2017! He stole Chelsey's heart from a rescue in Pittsburg, Kansas and she will be the first to tell you it was love at first sight. Finn loves to play in the water, go hiking, and playing with his big sister, Ellie! We are excited to introduce you to Team Leader, Maddy! Maddy joined our Pack in August of 2018 and has been such a positive asset to our Pack that she has worked up to a leadership role. She is pictured here with Bailey! ? Maddy is also a full time student at Missouri State and is in a sorority on campus. When she has free time, Maddy enjoys listening to music, hanging out with friends, and catching up with her family when she visits St. Louis. ? ?